Yes, you heard that right! I said 20% DISCOUNT! You may or may not know this, but our new webshop design has been released. This means that you will be able to surf through our shop and look through our Guides in the shop more easily. Since we’re very proud of the new look that our webshop has gotten, we want to share our joy and excitement with you. This is why from today until the 31st of March you will be able to happily purchase one of our Guides with a 20% discount. It’s time for some deliciously healthy food schedules and some killer workouts that will tone your body in no time! Now, which Guide would be best for you? 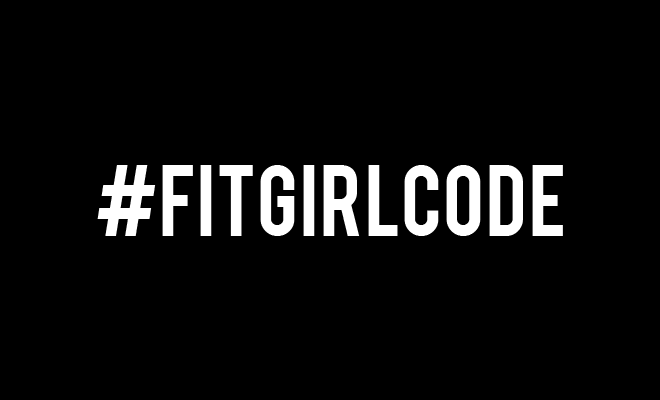 The legendary Fitgirlcode Guide has proven to be the most popular among our Fit Girls, and there is a reason for that! The Fitgirlcode Guide is an 8 week long body toner. The (e-)book allows you to enter a Fit Girl promised land which offers 8 weeks of laid out workouts and food schedules, as well as 8 weeks of mindfulness and a happiness journal which will help keep track of your progress. Hmmm… You may think to yourself, what does all that mean? Well, the 8 weeks of workouts (at home or at the gym) consist of 20 minute workouts with the instructions on what to do and how. You will be expected to workout at least 3 times a week and the workouts will focus on a different aspect of your body every time. Moreover, you will be given weekly grocery lists, make sure to follow these! Although you can easily replace some of the ingredients that you don’t like with a relatively equal alternative. In the book we share over 80 simple but delicious recipes with you! These include breakfast, snacks, lunch, dinner and desserts. We’re all for eating enough and don’t like crash dieting. We need you energetic and on top of your game! Then finally, as a bonus, you get your own fitness happiness journal that you can fill out daily/weekly to track your progress! 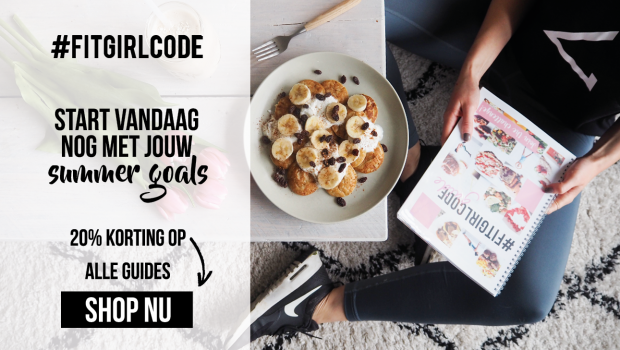 The Fitgirlcode Guide is particularly aimed at toning your body and losing fat over the course of eight weeks. On Monday, the 16th of April I am going to personally start the Fitgirlcode Guide. You know, with them summer body goals and all, I thought ‘LET’S DO THIS’! So, if you’re scared to do it alone, buy your Guide now and then we can start together and motivate each other through the blog and online community. ? Then you’ve got the Happy Healthy Guide which is different from the Fitgirlcode Guide as it focuses on weight loss by changing your eating habits! It also differs in the fact that it is 12 weeks long, and not 8. It is, however, split into 2 parts. Namely, part 1 is WEIGHT LOSS, and part 2 is KEEPING IT UP. What does this mean? Well, part 1 (the first 6 weeks) consists of weekly food schedules with lesser caloric intakes. This means that even though you will be taking in less calories, your fun in the kitchen will only increase. And we promise: you won’t be hungry! The flexibility with this Guide is that you can do part 1 (weight loss) until you have reached your weight goal. Did you finish the first 6 weeks, yet you want to lose even more weight? Simply do it again. However, after you’ve reached your goal, move on to part 2, keeping it up. These 6 weeks of food schedules bring your caloric intake back to normal, while keeping fatty substances on a low. There are no workout schedules in this Guide, as it fully focuses on your eating habits 12 weeks long, however you can still exercise and even include the workout schedules from the Fitgirlcode Guide or from your own routine. Does this Guide sound like what you need in order to bring back your health goals happily and healthily?